I'm so thrilled to share my brand new (and very first!) eCookbook with you. 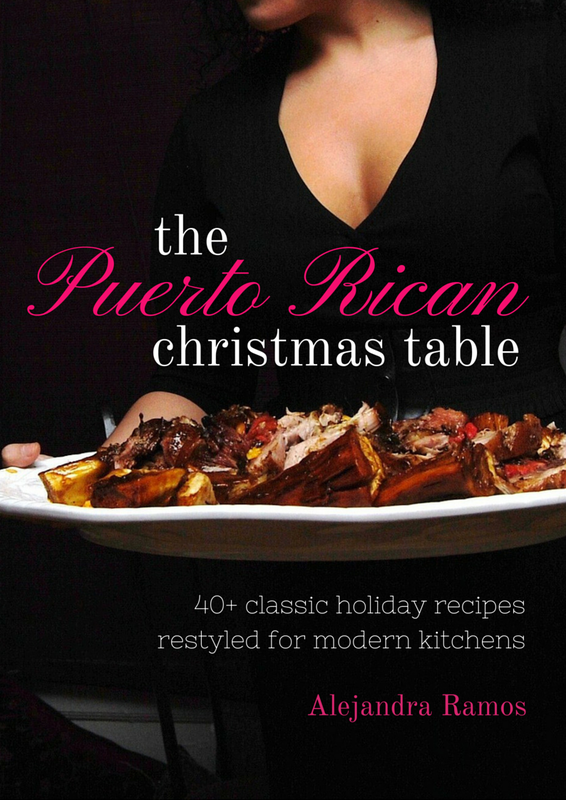 It's called The Puerto Rican Christmas Table, and it features 40+ classic Puerto Rican holiday recipes, restyled for modern kitchens all in a beautiful, full-color digital format perfect for your laptop, iPad, tablet, or mobile phone! You can click here to purchase and download the book (only $7.99! ), or scroll down to read a bit more about how it came to be! I have a tendency to do things on a whim. It’s how I started Always Order Dessert nearly 7 years ago. It’s how I subsequently quit my job and turned that blog into a career. And, it is how this book came to be. 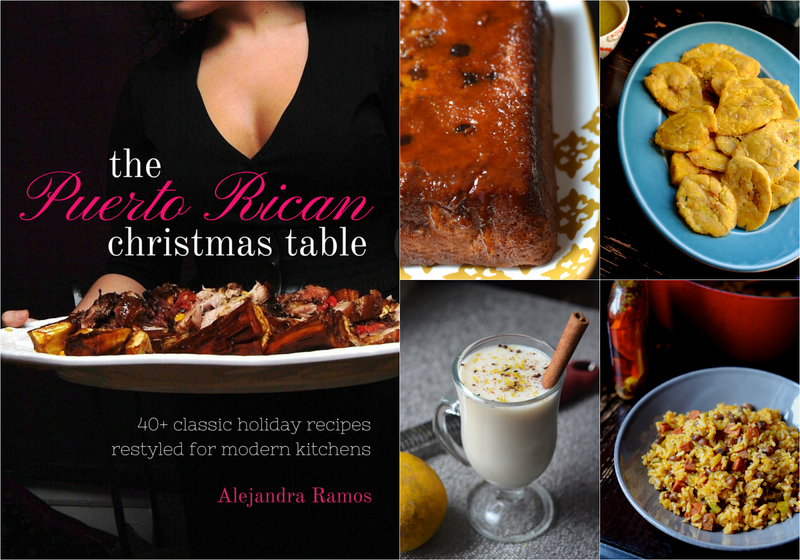 A couple months ago, I thought it might be a nice idea to pull together a few of my favorite Puerto Rican Christmas recipes to share in a small free PDF. I was thinking maybe 3 of the ones already on my blog with 1 or 2 new ones, all repackaged as a cute little document to go along with my holiday cards. The wheels in my head started turning (as they tend to do), and those 5 recipes grew to 10, then 20, then 30, and on and on. 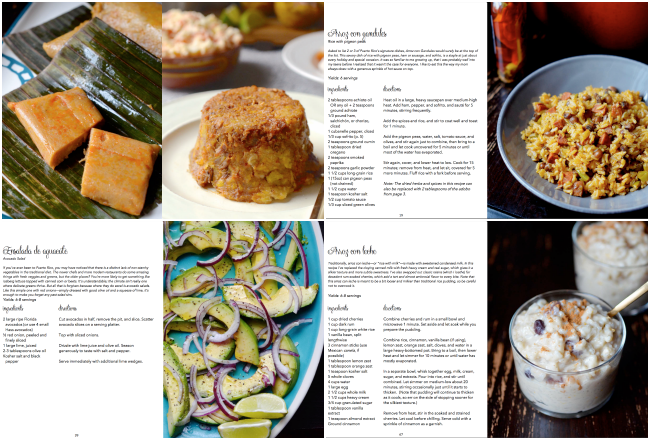 Within about 24 hours that "cute little PDF" turned into a full on 100-page digital cookbook! And so, the marathon began. About 5 weeks, many (so many!) late nights, hours of research and testing, daily grocery store trips, 1 broken camera, an actual trip to Puerto Rico, and I can’t even tell you how many dirty dishes later, and I’m proud to finally share this eCookbook with you! The recipes in this book are mostly ones that I grew up with. Classic side dishes like arroz con gandules and mofongo; desserts like tembleque (jiggly coconut pudding) and budin de pan (caramelized bread pudding); and classic entrees like pernil (roast pork) and pavochón (Puerto Rican style roast turkey). There are also some new and totally not traditional twists, like my Pigeon Pea Hummus. Slightly more than 80% of the recipes in the book are totally brand new and not found on this blog. The ones that are also on the blog have all actually been retested, tweaked, and updated based on years of comments from you fine readers. For example, my popular from-scratch rum cake recipe, which on the blog calls for you to create a separate homemade pudding mix, has been rewritten so that you only need one simple recipe--no extra steps! What do I mean by "restyled"? It means that I took classic, well-loved recipes, and shook them up a bit. With very few exceptions, I replaced processed ingredients with fresh ones (for example--canned milk is replaced with fresh milk or cream), and eliminated unnecessary steps. I also introduced the use of modern appliances like blenders and food processors to make somethings super quick and simple! I'm so happy with the way this book turned out, and I hope that you will enjoy it. Whether you grew up eating Puerto Rican food, have enjoyed it on vacation, or are completely new to the cuisine, I think you will find plenty of recipes and ideas to stir up your imagination. Click below to purchase and download now!